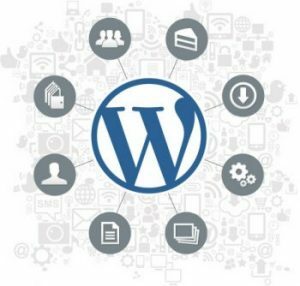 WordPress is a great platform for building your first website. However since the platform has relatively low barriers for entry for beginners, a lot of folks make these common mistakes. Let’s see what they are and how you can avoid them to prevent frustration from the early stages of your online career! These are the six most common WordPress mistakes you should avoid for a beautiful functional website. When you start looking for the perfect theme for your website, you will come across thousands of themes to choose from. Which theme is the right one for your website? Sometimes you may stumble upon a beautiful theme developed by an unknown developer with little to no reviews. We do not recommend using this theme, if you would rather use a free theme choose from the WordPress approved theme developer list. The best course of action is to use a premium theme! Although they will cost you upfront, you will receive dedicated support & updates in case anything goes wrong. During WordPress installation you will be asked for a username & password. To prevent hackers from easily gaining access to your website, you MUST choose a strong & secure password and username. Simple passwords such as your pets name or date of birth are not secure. We recommend using a password generator to create a very strong password with combination of characters, symbols, and uppercase and lowercase letters. When building your website, it’s easy to neglect common website features such as an about or contact us page. With these pages your visitors will be able to learn about what you do and how to get in touch with you. Log into your WP dashboard and browse to Settings > permalinks. From there you can change your permalink settings, for most websites the fifth option “Post name” will be sufficient, make sure to save changes. You have a beautiful website, now you need traffic! Getting search engine traffic is crucial for your online business. If your WordPress content & pages are not optimized, you could miss out on potential traffic. Luckily there are plenty of plugins that make search engine optimization simple. Just install a highly recommended plugin such as Yoast SEO and follow their documentation to set it up. WordPress makes it easy and simple to build beautiful websites. Always remember to keep your WordPress core, themes & plugins up to date at all times.